Upload to YouTube is now available for free in the Windows Phone Store, where it is the first YouTube uploader for Windows Phone 8.1. The app does exactly what its name suggests it does, which is upload video to the streaming video site. From your camera roll, click on Share and then Upload to YouTube. Or, you can open the app, and go rummaging through your phone (you can visit your saved downloads, for example) to find a video that you want the world to see. A couple of interesting things about the app. One, it won't upload to YouTube if it is running in the background. That might be okay with you for short clips, but if you're uploading a video of junior's ten rounds in the spelling bee, you might be making too much of a sacrifice to brag about your kid's spelling prowess on YouTube. The other problem the app has is more cosmetic. The light grey UI makes it look like all of the buttons are greyed out, when the truth is they are functioning and are usable. 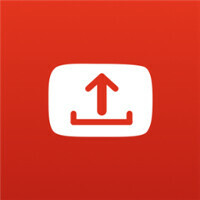 You can check out the Upload to YouTube app by clicking on the sourcelink below. I just did a Google search and you can upload videos through the YouTube app. First uploaded? Nokia's own video uploaded has been available for a very long time.